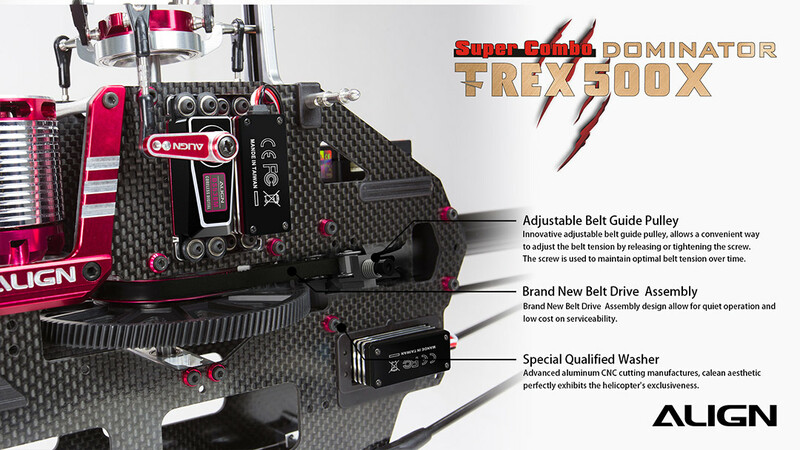 Experienced in numerous of innovations, the brand new T-REX 500X is now ready to go. 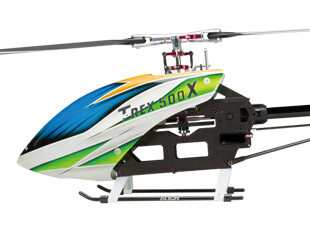 More attractive and creative design ideas are all in here, it absolutely would be your favorite T-REX 500X model ever. 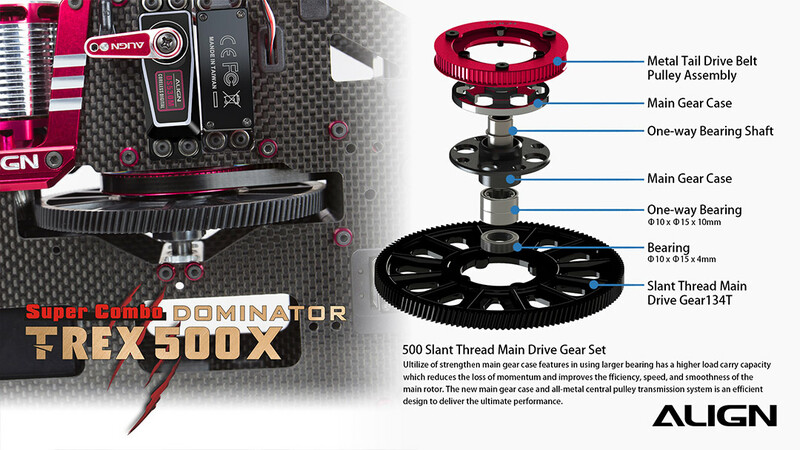 Refresh and refine, T-REX 500X adapt with brand new FL rotor head system, utilizes an extremely low CG design which reduces resistance during 3D maneuvers while increasing flight responsiveness and precision. A progressive design adds a gloss silver and red anodizing appearance which continue our quality development based on our 700 class helicopter. 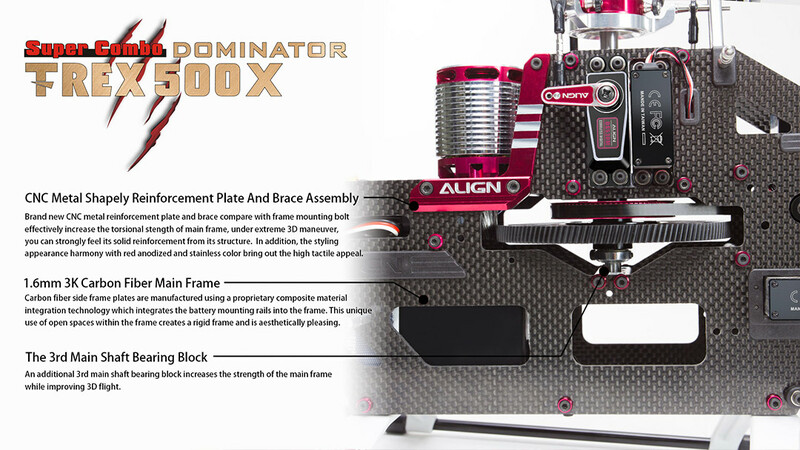 The T-REX 500X main frame utilizes composite material integration technology on carbon side frame plates, including the addition of battery mounting side rails, and a top motor mount design. 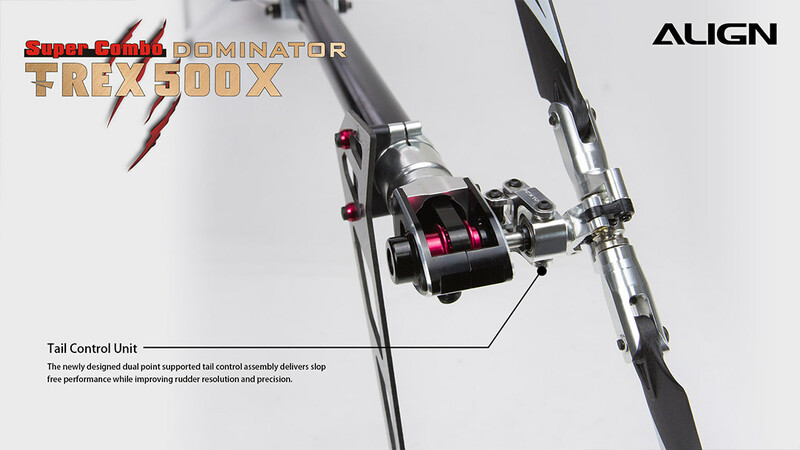 Innovative adjustable belt guide pulley, allows a convenient way to adjust the belt tension by releasing or tightening the screw. 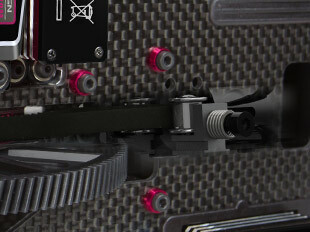 The screw is used to maintain optimal belt tension over time to keep the best. 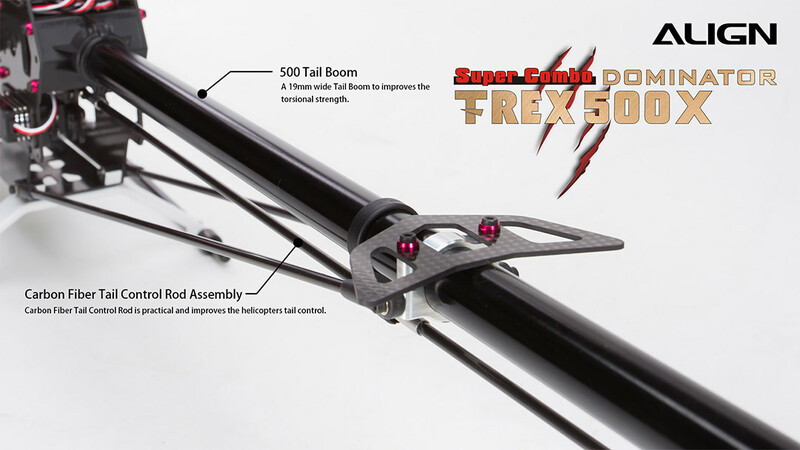 Also T-REX 500X landing skid is tilted 5 degrees forward to improve crashworthiness. 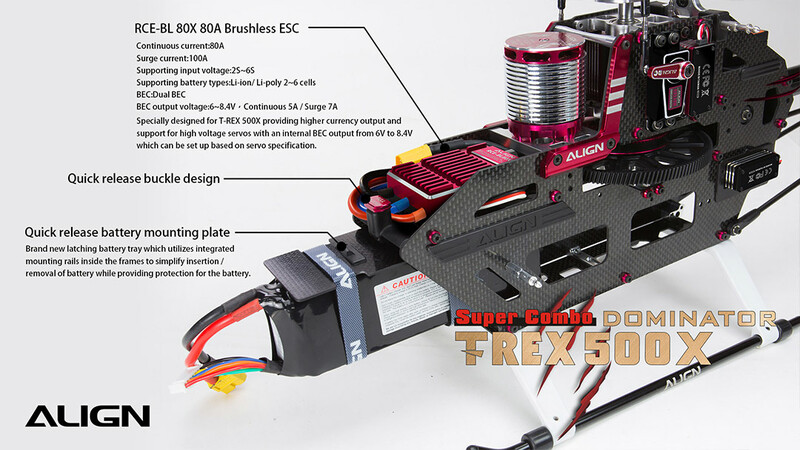 T-REX 500X utilizes 470mm main blades and 520MX(1600KV/3527) motor with 20% power upgrades than the original 1600KV/3225 motor. 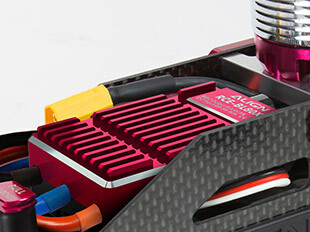 The latest new RCE-BL80X Brushless ESC support dual BEC output from 6 ~ 8.4V providing efficient and superior power. 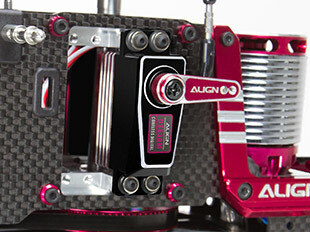 The NEW DS530M/DS535M digital servos are with extreme torque and speed response allow to support faster, more precise and accurate flight performance. 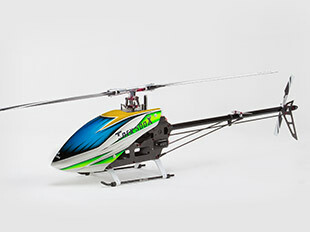 Equipped with all the top end electronic devices, T-REX 500X is as stable and powerful like the large scale helicopters. 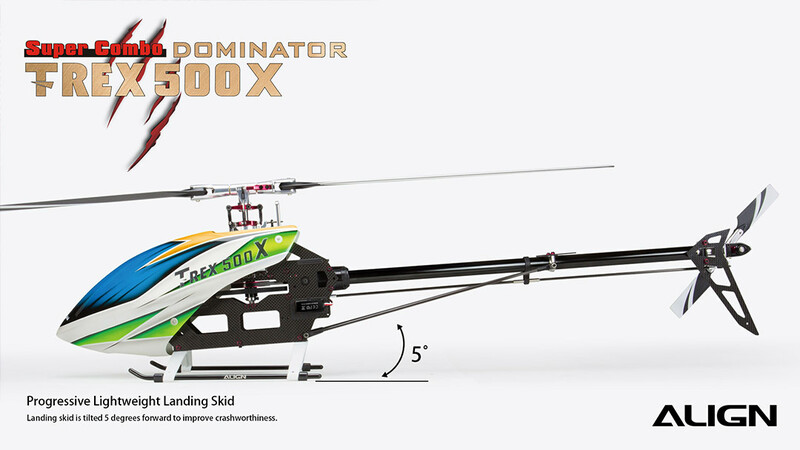 It is about to re-define the 500-class helicopters in your mind. 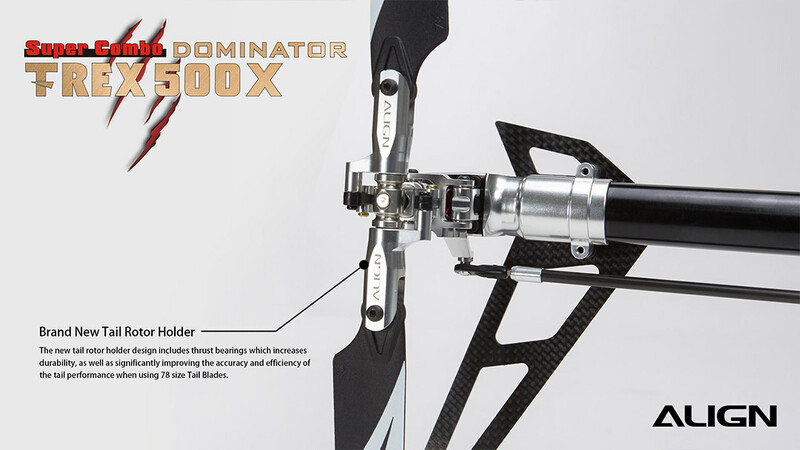 New extended 470mm main blades for T-REX 500X effectively improve the flying stability and power performance. 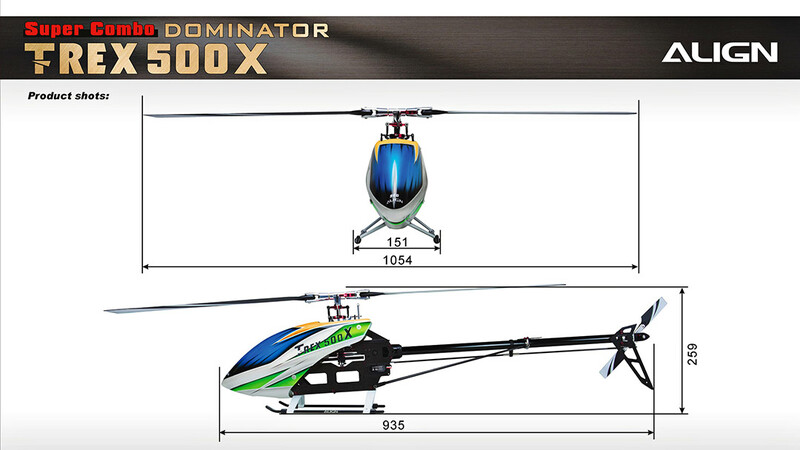 Enhance the power for better control allow to enjoy T-REX 500X flights same like other large size helicopters. New 78 size tail blades are longer in length and offer superior and precise tail holding performance, even during demanding 3D flight. 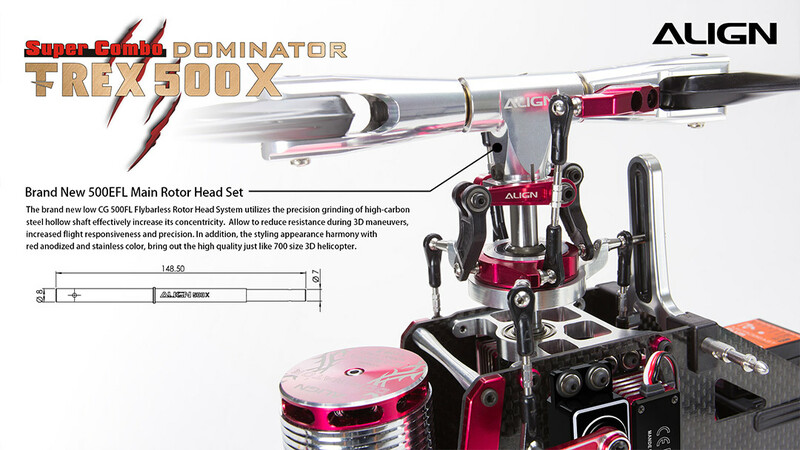 The brand new low CG 500FL Flybarless Rotor Head System utilizes the precision grinding of high-carbon steel hollow shaft effectively increase its concentricity. 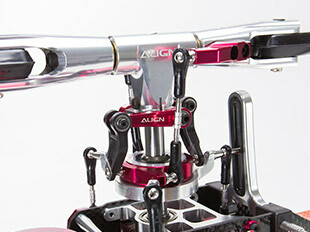 Allow to reduce resistance during 3D maneuvers, increased flight responsiveness and precision. 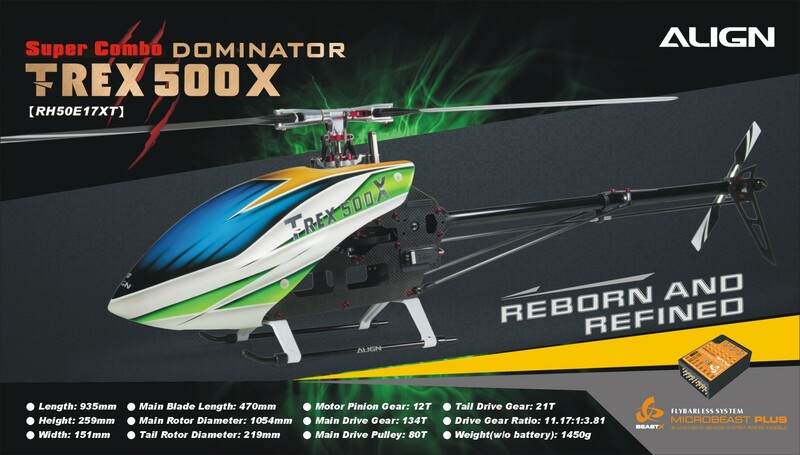 In addition, the styling appearance harmony with red anodized and stainless color, bring out the high quality just like 700 size 3D helicopter. 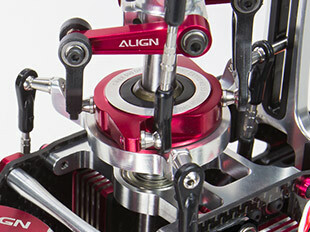 New Swashplate design with precise bearings features in zero slop delivering a precise and accurate controlled flight. 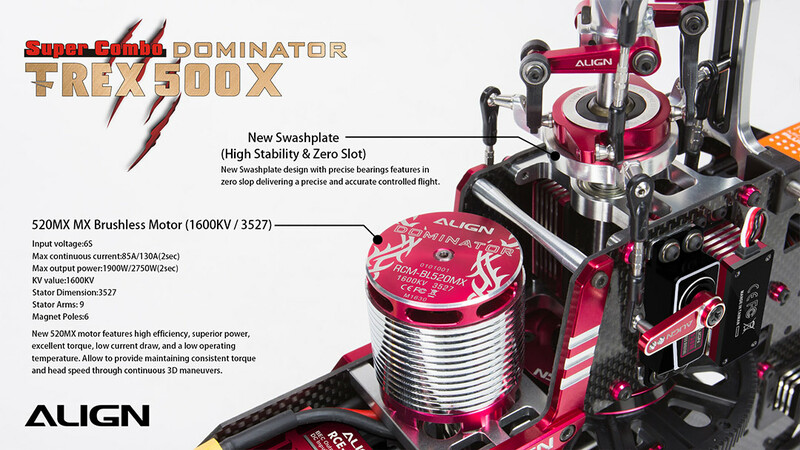 New 520MX(1600KV/3527) motor features high efficiency, superior power, excellent torque, low current draw, and a low operating temperature. 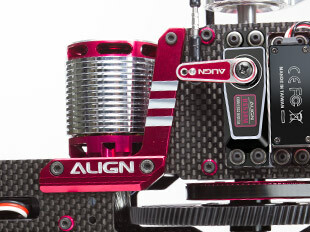 Allow to provide maintaining consistent torque and head speed through continuous 3D maneuvers. 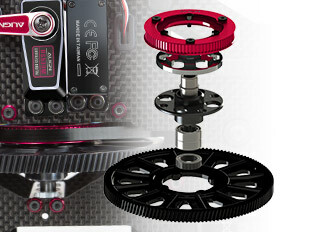 Brand new CNC metal reinforcement plate and brace compare with frame mounting bolt effectively increase the torsional strength of main frame, under extreme 3D maneuver, you can strongly feel its solid reinforcement from its structure. 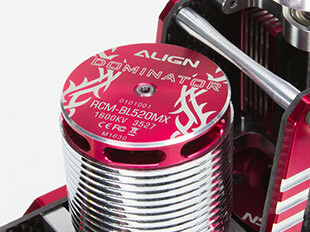 In addition, the styling appearance harmony with red anodized and stainless color bring out the high tactile appeal. 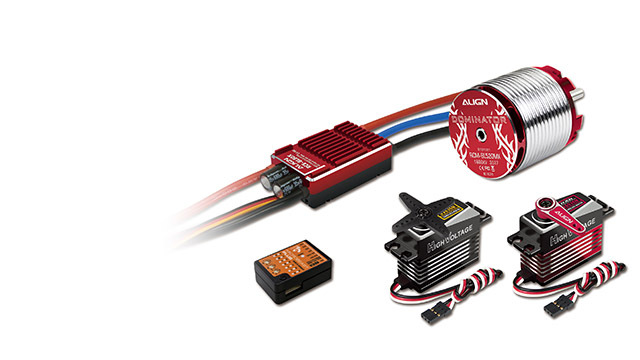 RCE-BL80X is specially designed for T-REX 500X providing higher currency output and support for high voltage servos with an internal BEC output from 6V to 8.4V which can be set up based on servo specification. 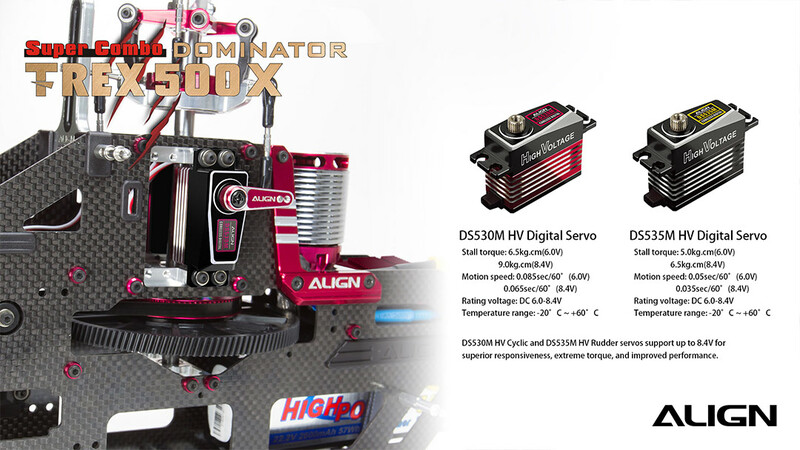 DS530M HV Cyclic and DS535M HV Rudder servos support up to 8.4V for superior responsiveness, extreme torque, and improved performance. 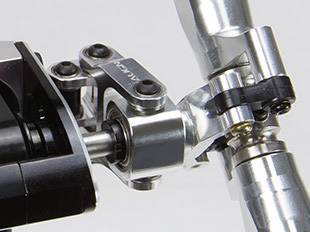 Brand New Belt Drive Assembly design allow for quiet operation and low cost on serviceability. Ultilize of strengthen main gear case features in using larger bearing has a higher load carry capacity which reduces the loss of momentum and improves the efficiency, speed, and smoothness of the main rotor. 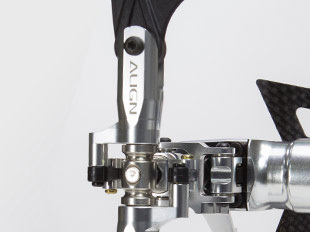 The new main gear case and all-metal central pulley transmission system is an efficient design to deliver the ultimate performance. 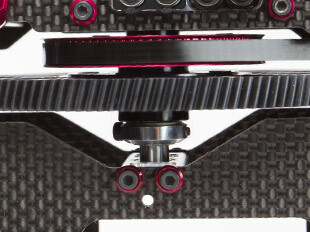 A 19mm wide Tail Boom to improves the torsional strength. 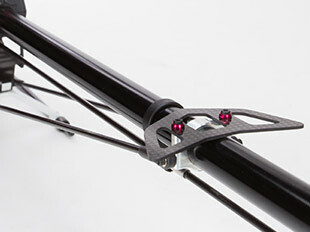 Carbon Fiber Tail Control Rod is practical and improves the helicopters tail control. 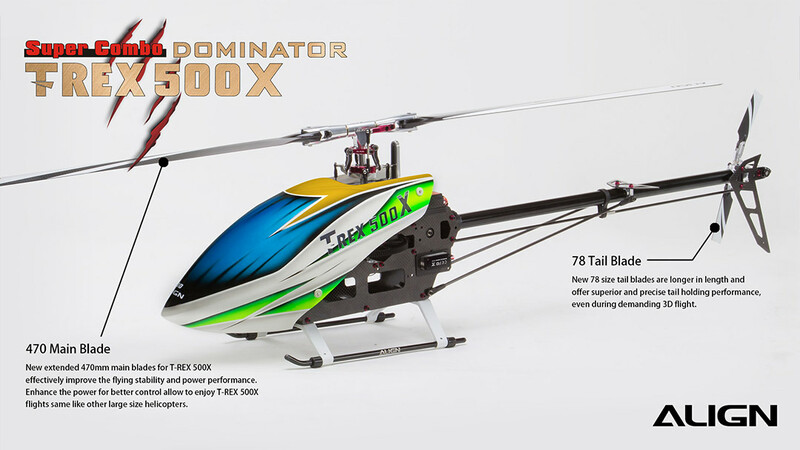 The new tail rotor holder design includes thrust bearings which increases durability, as well as significantly improving the accuracy and efficiency of the tail performance when using 78 size Tail Blades.